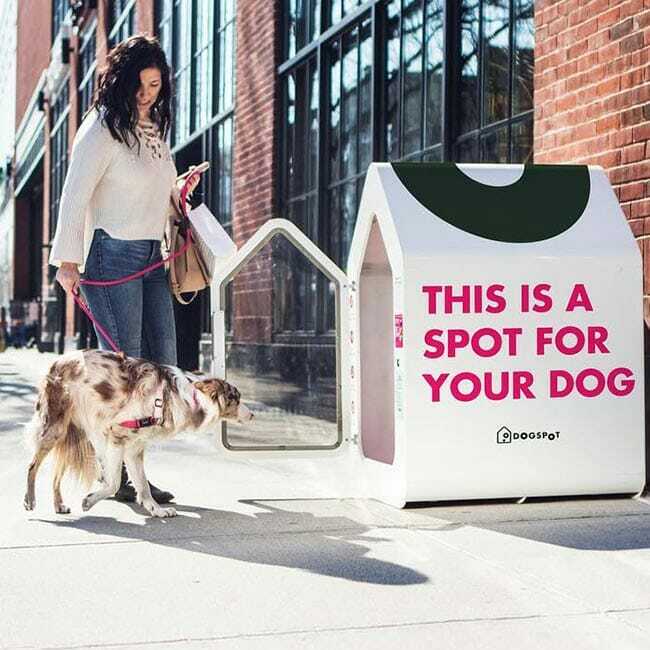 A DogSpot is a smart sidewalk sanctuary, providing your dog a safe and cozy home away from home while you briefly go somewhere they aren't allowed. The inspiration for DogSpot started with my dog, Winston, a terrier mix rescue who lives with me in Brooklyn. Winston is extremely high-energy and suffers from FOMO (Fear of Missing Out). For a long time, it was difficult taking Winston around the city with me because so many places don’t allow dogs inside. I wouldn’t tie him up because, like many, I worried he’d get loose, get scared, or be stolen. Sometimes, Winston needed to stay home more often than either of us wanted just because I’d go into a store for a few minutes where he wasn’t allowed. I hated that Winston and I were missing out on lots of extra walks and adventures together. It made me sad to see his disappointed face as I left the apartment right after getting home from work to run errands, leaving him behind again. Eventually, I realized if Winston and I faced these challenges, then millions of other pet parents shared this experience when it came to spending more time with their dogs. 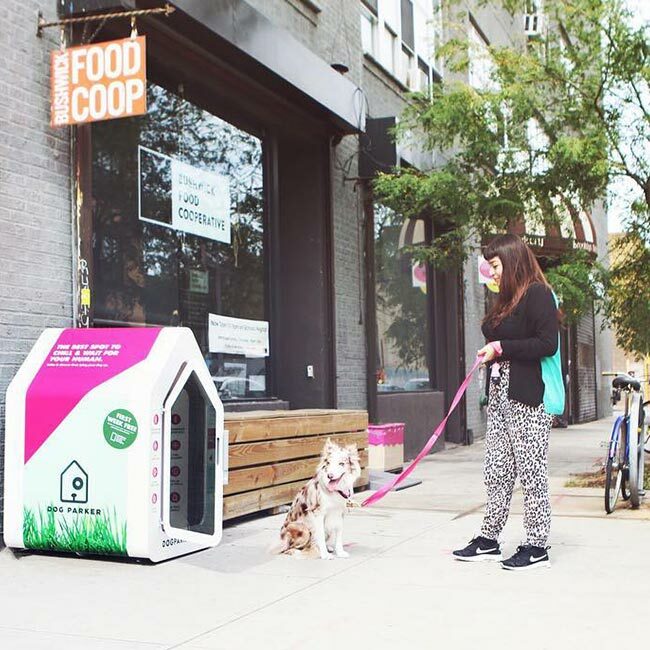 As a solution, I created the DogSpot — essentially a shareable, high-tech, vet-grade dog house — so that the Winstons of the world can enjoy exploring the city life more with their owners. 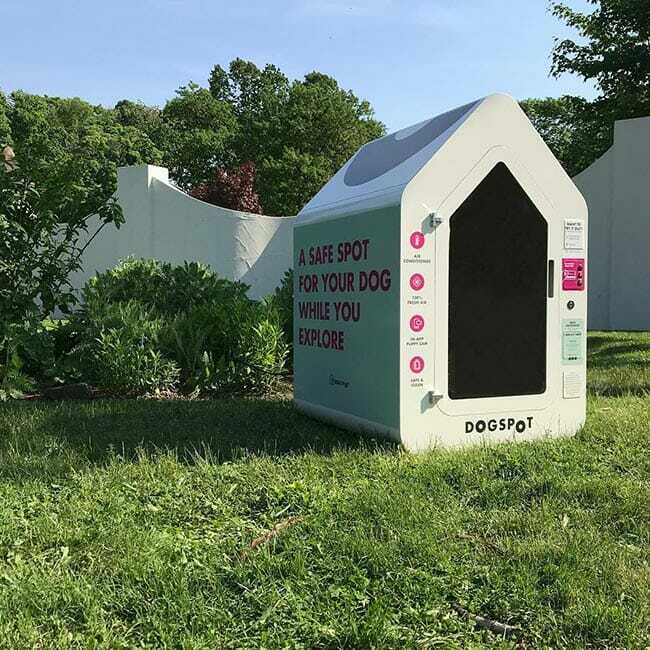 The DogSpot combines dog-first design with technology to create a safe and comfortable house for dogs. It is important to me to make DogSpots accessible for all dog owners and to better enable dog-friendlier communities with the help of local businesses. My vision for the world is a place where every dog owner has an option to have their dog join them for a walk, anytime and anywhere. I’m committed to giving dogs a safe home away from home — one Spot at a time. 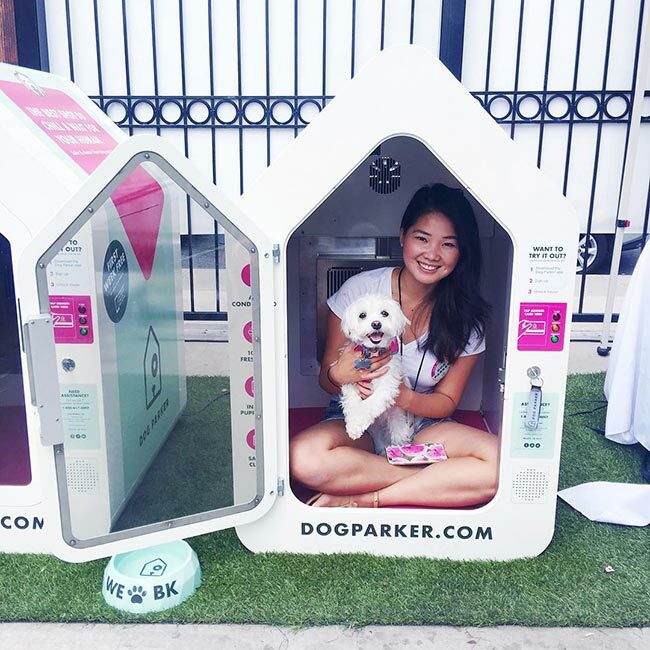 The future of dog-friendly is here. Access the Puppy Cam in the app! This way, you never have to wonder how your dog is doing. DogSpots are equipped with both heat and A/C, so they are always a cozy temperature for your dog. DogSpots are designed to fit most dogs comfortably and use fans to keep the air inside fresh. We’ve consulted with dozens of vets to ensure dog wellness! Each DogSpot is built with firm, non-porous materials for optimum comfort. 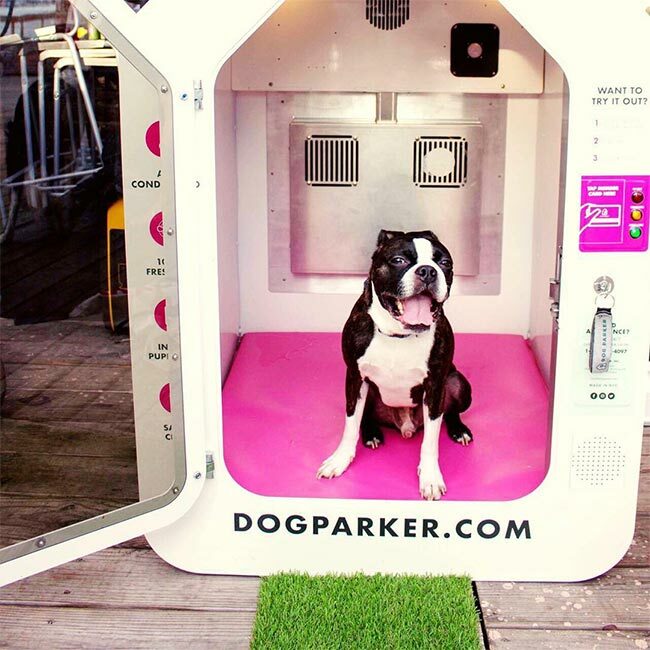 DogSpots use UV lights to kill bacteria, viruses, and molds between uses, giving you extra peace of mind. 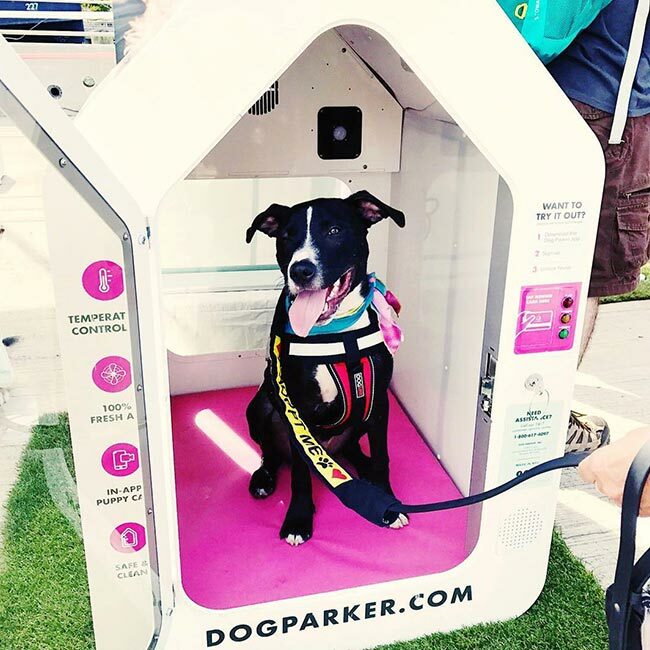 DogSpots are internet-connected, allowing you (and us at HQ) to keep tabs on your pup 24/7.